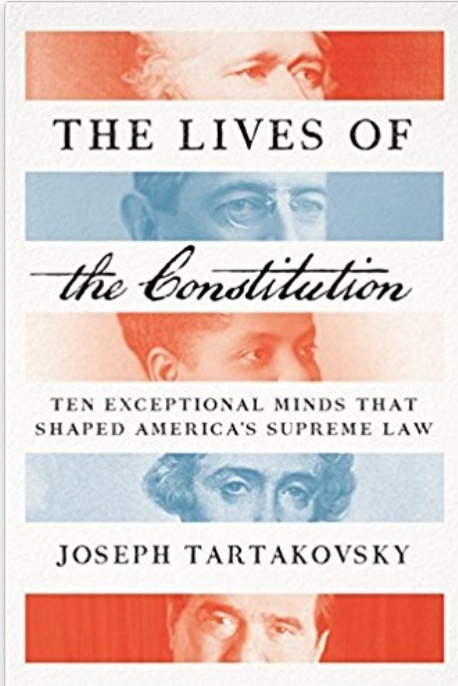 Today is the official publication date of Joseph Tartakovsky’s book The Lives of the Constitution: Ten Exceptional Minds That Shaped America’s Supreme Law. Joseph is the James Wilson Fellow in Constitutional Law at the Claremont Institute, and was most recently the Deputy Solicitor General of Nevada. Tartakosvky has taken an original and innovative approach to illuminating the Constitution and its evolution over time, looking at ten individuals across the sweep of American history somewhat similar to the approach of Lytton Strachey in Eminent Victorians. (Another comparison might be with Akhil Amar’s book, The Constitution: A Biography, but Amar is a liberal, so don’t rush out to your closest Amazon one-click.) This departs from the usual mode of just reciting the roster of landmark cases from Marbury through Obergefell, or engaging in a dense analysis of abstract legal principles. Some of Joseph’s names are familiar, like Alexander Hamilton, but some less well known, like James Wilson and Stephen Field. In the latest episode of the Power Line Show, I caught up with Joseph to explore four of the 10 important thinkers and doers that he selected for a closer look. You’ll just have to listen to find out which four.